Rikuzentakata is located in the north side of Japan. Soon after the short summer, the harvest fall is coming. After the tsunami, it has been three years. 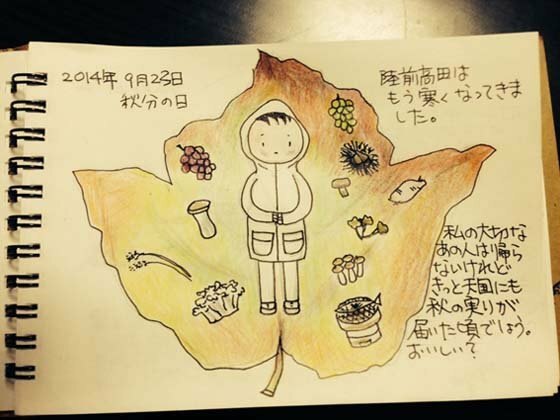 Doesn't matter what happen to us, fall is coming every year and give us Grapes, many kinds of Mushrooms, Rice, Pacific saurys, and many kinds of potatoes. When I eat them, I hope that people who were died by the tsunami eat them in the heaven.